By researching, writing, and amending legislation, the THSC Watchmen promote family rights and homeschooling. They garner support from legislators and their staff, raise public awareness, and increase homeschool participation in the political process. Ronald Reagan famously stated, “Freedom is only one generation away from extinction.” The THSC Watchmen intend to protect the rights of Texas families and to pass the torch of freedom by inspiring other states to do the same. This new kind of lobbyist proves to be a passionate and capable watchman to man the walls of our cardinal bastion of freedom: the family. The mission of the THSC Watchmen is to establish a presence and level of rapport for homeschoolers with the Texas Legislature that enables THSC to protect families in Texas for years to come. 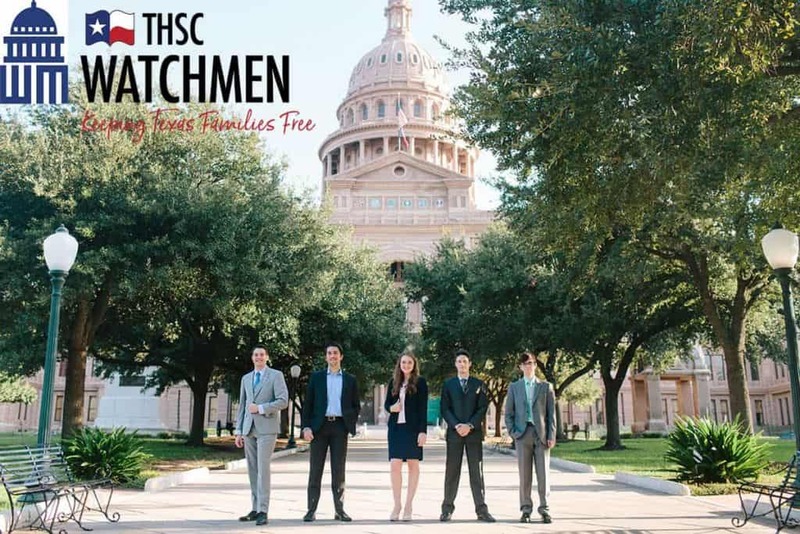 The THSC Watchmen continue guarding the walls to protect the rights of families to direct the care, control, and upbringing of their child, and in doing so, the THSC Watchmen are Keeping Texas Families Free.